Only a short 5 hr direct flight from Newark Liberty Airport. 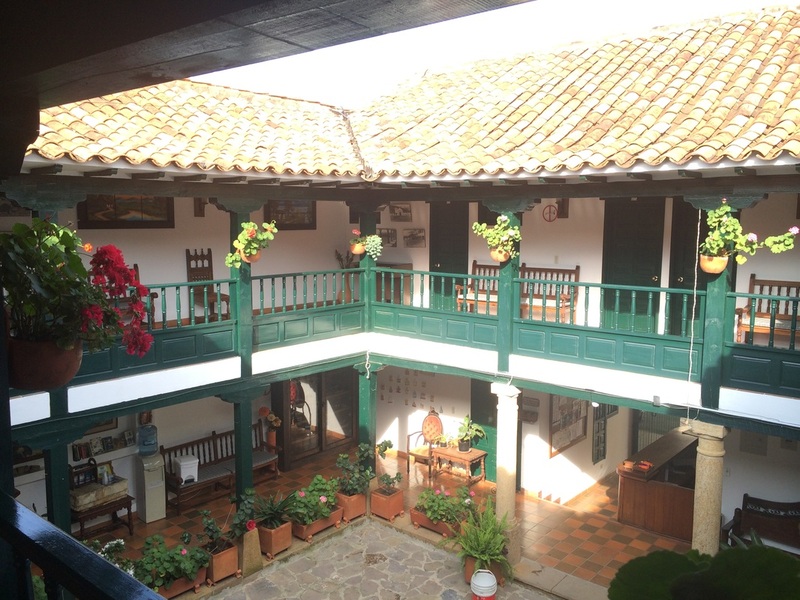 We’ll spend 6 nights in the heart of the historic Candelaria District of Bogota and 2 nights in the UNSECO World Heritage Village of Villa de Leyva, a 450 year old Spanish Colonial town complete with central plaza and cathedral. $1399 includes direct airfare* from Newark Liberty, 6 nights in the beautifully renovated 3 star Casa Deco Hotel in Bogota, 2 nights in the Antonio Narino Hotel in Villa de Leyva, all transfers in Colombia, breakfast daily, pre-departure meeting and the services of our Spanish speaking native Colombian guide, Manuel Fresneda of Terra Cafe in Easton. • While Bogota sits very near the equator, it is 8600 feet’ above sea level in the Andes mountains. • Colombia is the next big thing... business is booming and tourism is on the rise. Discover it now. • Beer is booming!!! The Bogota Beer Co. makes some nice Belgian styles! • Bogota is quickly becoming South America’s newest culinary darling. • Salsa dancing in Bogota! • The Gold Museum. A national treasure. • Visit a coffee plantation and Hacienda. • Enjoy the open air market in Villa de Leyva. • Hike to the waterfalls in the surrounding mountains. • Ride the cable car to Monserrate and look down on Bogota from 10,000 feet above sea level. • Visit the underground cathedral of Zipaquira, carved out of a salt mine.